The history of Chester starts with its corporation in 1836, but its roots reach back to 1672. The territory then was divided into east and west sections, portioned off by a committee appointed by the regional authority at the time, the Town of Saybrook. The early property owners were probably just landholders, who used their grants for farming or grazing. The record of the first white settler shows Jonah Dibble establishing his residence here in 1692. Living successfully in the wilderness among his Native American neighbors for four years, he was followed by Andrew Warner. This was followed by a whole succession of families, whose descendants can still be found in the area. Among the names of those river country pioneers are Parker, Waterhouse, Webb, Willard, Leet, Southworth and Canfield. At this time Chester was known as the Pataconk section of Saybrook, an American Indian term referring to a round or wigwam-shaped hill. The district back and up from the ferry landing probably suggested the title by which the whole town was designated. Subjects of the Uncas, the Wangum or Wangunk tribe, occupied the territory. On the hill overlooking the river they had a fort. There was also a sweat lodge, which might be seen as a variation of the modern health club. Sick people came here to feel better. Hot stones were placed in a hole dug in the ground and the patient, well wrapped in blankets and furs, was laid over the opening. After sufficient heating of this sort, the person made a dash for the river, where a plunge into cold water completed the treatment. As a tribe, the Wangums lived side-by-side with white settlers until 1785. The remains of the last of them rest in the Old Burying Ground near the [old] Town Hall, where a plot was sectioned off for a cemetery in 1736. Next in age to the Old Burying Ground is the cemetery across the road, which was opened in 1804. Another is located in the west district and dates back to 1813. The dedication of the Laurel Hill cemetery took place in 1863. The Pataconk section later became the Fourth Ecclesiastical Society of Saybrook and was finally named after Chester, England, by Abraham Waterhouse, whose ancestors came from there. Chester, Connecticut, one of many towns in this country bearing the name, is the oldest namesake of this one time Roman camp in England. The nearest competitor would be Chester, Pennsylvania, formerly Uptown. Although it was settled in 1643, it was not called Chester until years later. A trading venture to America which originated in the walled city of old England, and recorded in its early assembly books, is believed to establish a link between the two places. Whether or not this mercantile undertaking proves the connection between Chester of the old world and Chester of the new, it is known that the Waterhouse family originated from Chester, England, and gave the new settlement its name. Grist mills, tanneries and forges were among the other early industries. A forge is known to have been in operation in 1790, and another in 1818. L’Hommendieu’s gimlet and bit factory flourished in 1811. In 1740, parish privileges were enjoyed by the inhabitants. The Congregational Society was organized as such in 1742. A meeting house was erected near the Green, which was replaced by a second building in 1793. Later in 1846, a new church was built, and this became the town hall. Chester separated from Saybrook and became an independent town by permission of the General Assembly in 1836. A small portion returned to the older colony to the south and was re-annexed in 1856. The Congregational Society played the principle role in the religious and governing body of the people until 1822, when the sixty-six Baptists formed a congregation. Previous to that time, the First Baptist church in Saybrook, later known as Winthrop Baptist church, was the headquarters of those from Chester of that denomination. Eventually, the congregation built a meeting house of its own and since then it has taken an important place in the religious life of the community beside the Congregational Society. The present Baptist church was presented as a gift by the Reverend Russell Jennings. A nucleus for the Catholic church began in 1850. Mass was originally said in a private home, and then a hall was rented. In 1855, a church was finally erected. The corner stone of St. Joseph’s was laid in 1891. Of first rank importance since the Colonial Days, education has progressed hand-and-hand with religion. As far back as 1743, Chester had a school house. Unfortunately, this first attempt to impart knowledge had to be discontinued because of the lack of maintenance funds. The citizens, neither discouraged nor defeated, made a second and successful endeavor in 1852. The first two school houses stood near the [old] town hall where children from the entire town attended. Later, an east and west district came into existence, the former again dividing into north and south districts. Still later the south district was divided and the middle district, comprising part of the west district, came into being, each having a school house. Three of these buildings were purchased and converted into residences. The fourth is the Camp Hazen office on the YMCA premises at Cedar Lake. In 1905, the grade schools consolidated and the high school on Church Hill houses both the grammar and upper class students. Closely allied with the educational advantages of town is its library. The Chester library had its inception in 1875, and for twenty years the enthusiasm and efforts of a few interested members kept it alive. Eventually, the town gave its support, and then the state contributed. In 1907, S. Mills Ely made it possible to build the present, well-located and much appreciated building, where six thousand books are cataloged. In the picturesque days of the stage coach, passengers and mail were carried between Chester and Middletown, and between Chester and New Haven. The stepping stone in front of the Chester Savings bank, though not of ancient origin, is one of the many reminders in Connecticut of earlier and slower means of transportation. Steamboats also connected Chester with Hartford and New York, and provided a popular and frequently used mode of travel in the less hurried late 1800s. When Chester, along with the rest of the country, evolved from the stage coach to the railroad, Captain Oliver Clark was influential in bringing this more modern form of transportation to the town. Captain Clark contributed toward the construction of the depot, donated land for tracks and planted shade trees from the business center of Chester to the railroad station. Essentially a manufacturing site, due to its abundant water power from the several streams running into the Cove, factories have increased in Chester during the past century. The Russell Jennings Company, the Middlesex Handle Company, and the Rogers Brush Shop, all avail themselves of the advantages of the West Stream. The first is known in all parts of the world for the quality of the carpenter tools they make; the latter are makers of high grade cylindrical brushes and are likewise widely known. Among the other old establishments are the C.J. Bates & Sons, situated on one of the water ways, the M.S. Brooks & Sons, and J.S. Deuse, Incorporated. The C.J. Bates & Sons manufactures manicuring sets; the last two make wire goods and hardware respectively. Chester’s natural environment is typical of old time Connecticut: rolling hills, secondary forests, lakes, ponds, streams and waterfalls. The weather whispers of New England variabilty, somewhat tempered by its proximity to the shoreline (only 10 miles away). With Cockaponset State Park and the Connecticut River providing a substantial part of Chester’s border, an excursion into nature is never far from home. Many of the homes integrate their natural surroundings into their landscaping. This is made easy by a surplus of ponds, waterfalls and streams. Pattaconk Brook flows under Main Street and behind many of the shops and restaurants. 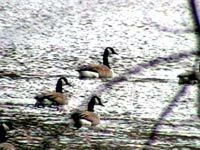 Residents are often treated to glimpses of deer, geese, ducks and wild turkeys. Otter and beaver are no stranger here as well. A wide variety of birds comfortably frequent the town from the State forest. Efforts are made by residents and town leaders alike to protect the ambiance of our town, which includes our natural surroundings. 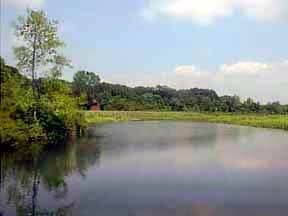 At the end of the last ice age, about 11,000 years ago, the present-day Connecticut River came into existence. Since that time humans have lived along its shores. The first people to inhabit the Connecticut River Valley were Native Americans (Paleo-Indians) who hunted caribou, wooly mammoth, and other cold-adapted animals. Native American populations flourished in the valley as the climate became progressively milder and more temperate. In 1614, the first Europeans entered the Connecticut River estuary, and by the 1630’s, fur trading posts extended into Massachusetts. In the following century, English colonists moved farther and farther up river into Vermont and New Hampshire, displacing the Native Americans. In the Connecticut River many of the food webs are ultimately based upon organic detritus, small particles of microbially altered leaves and wood. All of the fish, amphibians, reptiles, mammals, and birds living either in or along the river are directly or indirectly dependent upon this organic matter. The river is a kind of moving soup of organic particles. These particles are filtered out of the moving water by a variety of invertebrates, including the larval stages of aquatic insects, mussels, bryozoans and sponges. Leaves and wood enter the river from the flood plain forest and the woodlands along the river’s tributaries. The majority of this plant material moves into the river either in the Fall or during periods of high water, when the river floods into the riparian forests and masses of dead leaves, fallen branches, logs, and even whole trees float out into the mainstem. Eventually these plant materials become water-logged and sink. As the sunken leaves, branches, logs and trees tumble along the river bottom with the current, they are shredded into smaller and smaller pieces. These pieces are colonized by microbes, which convert this material into high quality food for the filter feeders. Thus, the origin of the organic detritus in the river is ultimately the trees, shrubs and herbs of the nearby forests. These plants synthesize leaves and woody tissues from CO2, using the sun’s energy (light); this process is called photosynthesis, and it occurs in the green leaves (and green stems) of the flood plain plants. Therefore, an understanding of the Connecticut River’s ecology must start with an appreciation of the chemistry of photosynthesis. The Connecticut River, like any large river, is home to a wide variety of both vertebrate and invertebrate animals. The modern Connecticut River spans millions of years. Its story unfolds from the many types of bedrock that supports its sandy shores, to the creatures that swim in its water and live along its banks. We can appreciate how its cultural history shapes our lives today. There are many fascinating aspects of the river and its valley that we can learn about, if we take just a few minutes. The Connecticut Valley originated about 220 million years ago, late in the Triassic Period. The Earth’s crust in southern New England was stretched, creating a huge fault system that ran north and south. Over the next 40 million years, the land west of the faults sank slowly downward. Lava erupting from deep fissures covered the valley floor three times. The climate was very warm, but the amount of rainfall alternated between moist and semiarid over periods extending for hundreds of years. During the wet periods, in the early Jurassic, Luxuriant forests of conifers, cycads, horsetails and ferns grew in the valley. Judging from the thousands of fossil tracks found in the valley, dinosaurs and other more primitive reptiles were common. The dinosaurs ranged from turkey-sized fabrosaurids to 20 foot long predators related to Diophosaurus. The modern Connecticut River developed between 13,000 and 10,000 years ago, after the receding of the last ice sheet, the late Wisconsin Glacier, to cover New England. During the last glaciation (25,000 to 18,000 years ago), a continental ice sheet gouged its way across the bedrock of the Connecticut Valley and covered all of New England with ice more than a mile thick. During the retreat of this great ice sheet through New England (18,000 to 13,000 years ago), meltwater streams issuing from the waning glacial ice deposited sands and gravels as temporary dams impounding glacial lakes. Glacial Lake Hitcock occupied the Connecticut River Valley between 15,000 and 11,000 years ago. The lake was as much as 15 miles in width and stretched from a glacial drift dam at Rocky Hill, Connecticut, for about 140 miles northward in the valley to Lyme, New Hampshire. Eventually, the dam broke, the lake waters drained southward to Long Island Sound, and the modern Connecticut River was established on the drained bed of glacial Lake Hitchcock. Today, varved glacial lake clays an be seen in many places in the river banks, and in other places remnant delta and beach deposits of the glacial lake lie more than 100 feet above the modern river. As time passed and the Connecticut River cut down into the glacial lake bed, linear stream sections changed to more meandering (curving) ones. In some cases, oxbow lakes like the one at Northampton, Massachusetts, formed as river meanders were abandoned during flood events. Today’s Connecticut River actually begins near the Canadian border in New Hampshire and travels 410 miles to Long Island Sound. The first people to inhabit the Connecticut River Valley are called Paleo-Indians, and are known to have camped across these regions more than 11,000 years ago. At that time, the receding late Wisconsin Glacier, which had covered New England, allowed them to hunt caribou, wooly mammoth, other smaller animals, and to gather seasonal wild plant food. As the climate warmed, the plants and animals gradually changed and diversified. These semi-nomadic people adapted their lifestyle and food choices accordingly, hunting deer, moose, bear, beaver, muskrat, rabbit, and fish. Varieties of edible nuts, berries, seeds, roots and plant parts were also eaten. Between 2,000 to 1,000 years ago, native populations bean cultivating vegetables such as corn, beans, and squash. This more predictable food supply allowed for the establishment of even more permanent settlements. Garden crops were raised in the lower fertile flood plains of the river, where people also gathered to fish and trade. A thriving trade business among native populations existed along the Connecticut River well before European contact as Native Americans gathered to trade furs, maple syrup and sugar, and to harvest wild rice, waterfowl, and other water resources. Wampum beads, made from the shells of the quahog clam and whelk, were a primary trading activity in this early river trade. The Nehantics and other river tribes, members of the Algonquian federation, called the Connecticut River “Quinatucquet” or “Quinnetukut,” meaning “long tidal river,” because the ocean tides influence the river from its mouth on Long Island Sound as far north as the Enfield Rapids. The first Europeans to explore the great river were traders, not settlers, who brought furs from the Indians and sold them on the Old World. The Dutch explorer Adriaen Block is credited with being the first European to sail up river in the “restless.” He called it the “de Versche” or Fresh River because of the purity of its waters. In 1614, he established a small trading post for beaver, deer, fox, muskrat, raccoon, martin, mink, otter and other mammals at Saybrook Point. Later, in 1633, the Dutch West India Company founded another trading post, House of Hope, at the present site of Hartford. The relationship between the Indians and the traders was mutually beneficial and mostly 10,000 beaver skins annually. However, when permanent English settlement began in the 1630s, disputes arose among the Indians, Dutch and English. Unfortunately, between encroachment upon Native homelands by European settlers, changing stewardship of the land, warfare and European diseases, the Native American population was greatly reduced and dislocated. As the English settlement grew in places like Windsor, Wethersfield, Hartford, and Saybrook, the Connecticut River became an important source of travel and trade, beginning as early as 1650. In addition to the fur trade, logging of timber became an important industry. The first log drive occurred in 1761, and continued until 1949 in northern New England. Huge trees were cut and located down river to mills for making furniture, boxes for shipping materials west, paper, and houses. Fertile glacial terraces and floodplains created prime agricultural lands that inspired settlement and the establishment of a permanent society. The earliest settlers practiced subsistence farming, growing what they could for their own use. They quickly developed cash crops for export, such as tobacco, wool, butter, milk, and maple syrup. Today, diversified and specialty agriculture, and farmstands and farmers’ markets, all contribute to the economy and the Atlantic seaboard and as far as the Carribbean. The rich soil adjacent to the river grew grains, onions and other crops. Livestock and salter fish added to the value of their cargoes. On return, they carries rum, molasses and sugar. Brownstone rock was another important product of the valley, and was often shipped to Hartford, Boston, and New York. Hartford and Middletown were the two largest river ports. With the introduction of steam power around 1815, river traffic increased, and the small shipyards between Only Lyme and Windsor prospered. There was regular steamboat service between Hartford and New York until 1931. The Connecticut was America’s first major river to be improved for transportation. A system of dams and canals opened the river to steamboats and flatboats for more than half its length, encouraging settlement, trade, and travel. As the population increased, it is estimated that three-quarters of the Valley was cleared for agriculture and grazing of livestock before the Civil War. Because of this habitat change, many wildlife species disappeared or were greatly reduced in numbers. The gray squirrel might have been considered an “endangered species” in the mid-1800s. Small acre farming, however, suffered from competition as western lands were opened to settlement and from the lack of more fertile soil as the population grew. Young people moved north and west to seek an easier life. Again, the land use changed. Native trees, through a successional pattern, began to grown back. Slowly animals returned. Today, the regrowth of the woodlands has brought back the bald eagle, the beaver, the bear, the bobcat, the moose, and others. In addition to travel and shipping, the Connecticut River has also been used to provide water power since the mid-1800s. In 1848, Samuel Colt, producing revolvers in Hartford, and Robbins and Lawrence, making rifles in Windsor, Vermont, were among the first manufacturers in America to produce goods using interchangeable parts. Holyoke Massachusetts became the first planned city using a dam and a series of canals to harness water power, and prospered, producing goods needed for the Civil War. Turner Falls, Massachusetts, was also developed in the later 1800s after the war, with the help of a dam and water power. Many manufacturing plants used falling water as a source of energy. Mills in Bellows Falls, Vermont, and Claremont, New Hampshire, produced paper and textiles. Other mills sawed lumber, ground grain, and powered various woodworking and metal-working machinery. However, these dams, built about 200 years ago, dealt a significant blow to anadromous fish, such as the salmon and shad, which spawned in the Connecticut River, but returned to the sea to live. The salmon was the hardest hit, and was completely eliminated because these fish must travel to the feeder streams or tributaries to lay their eggs. Shad spawning habitat, on the other hand, exists downstream of the dams; thus, shad were never completely eliminated. In the late 1800s, technology for converting water power into electricity arrived in the valley. Dams were improved and efficiency increased. Industrial development, however, caused pollution of our waterways. This, along with pesticides and population growth, put stress on many remaining species of fish and wildlife. A successful fish lift (elevator) was built in Holyoke and began operating in 1955. The Turner Falls fish ladders were completed in 1980. Additional fishways have been built in Vernon (1981), Bellows Falls (1984) and Wilder, Vermont (1987), to help restore salmon and shad. Today, these valuable species are making a comeback, and conversation efforts are also underway to help conserve such unique species as the shortnose sturgeon and other fishes. The river now supports a large population of sport fish including largemouth and smallmouth bass, brook trout, northern pike, and channel catfish. Efforts supported by taxpayers and anglers have turned the Connecticut River into a premier recreational resource enjoyed by thousands of boaters, anglers, birders and the general public. Today, our environment contains a diverse mix of land uses and our challenge is to maintain a healthy ecosystem while still allowing for sustained economic growth. There are 50,000 business employing over 640,000 people in the 99 cities and towns that touch the river. The Connecticut River Compact has been signed by many of the groups involved with river projects who have agreed to work together “for the betterment of the River Valley,” a shared vision that includes economic development, protection of the river ecosystem, farmland preservation, reduction of river pollution, and public recreational usage. One typical project is the creation of a tri-state Connecticut River Scenic Byway that would promote heritage tourism in rural areas in Vermont, New Hampshire and Massachusetts. Other projects include Riverfront Recapture in Hartford and the Riverfront Development Program in the Springfield, Massachusetts, area. 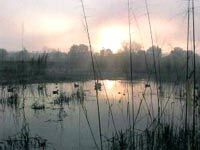 Join a watershed organization or land trust. Read and support conservation efforts. Storm drains in the street (also called sewer inlets) are for water only. Water flows into storm drains, many of which empty into local creeks and the Connecticut River. You can help make our waterways safer for drinking, fishing and boating by keeping pollution and trash out of storm drains. Service your car regularly to prevent oils and other fluids from leaking onto the pavement and being washed down storm drains. Always recycle your used motor oil and other fluids from leaking onto the pavement and being washed down the storm drains. Always recycle your used motor oil and antifreeze. Manage your painting projects by choosing water-based paints and washing brushes in your sink with water. Reuse and recycle paint thinner, which is a hazardous material. Don’t pour it down the sink or storm drain. Compost leaves and grass clippings. This will provide you with rich compost next year that can be used to enhance your garden soil. If you don’t compost, carefully bag your leaves and grass clippings. Leaves and grass clippings placed in the street unbagged will clog storm drains. Minimize use of toxic chemicals on your lawn and garden and use only when necessary. These include fertilizers, used to make grass and flowers grow, and herbicides, used to kill weeds such as crabgrass. Use alternatives, non-chemical techniques – and save some money in the process! If upi must use chemicals, follow the directions carefully. Minimize the use of household toxic substances. These include mothballs, drain and oven cleaners, insect sprays and many other products. Substitute with products that use natural ingredients whenever possible. Expand your garden, plant shrubs for wildlife and cut down on the size of your lawn. Maintaining a garden without chemicals is easier that maintaining a lawn with chemicals. Use native plants and mulch, and plant densely to decrease the need for water, reduce erosion, discourage weeds, and encourage birds and other animals. Set your lawn mower height to 3 inches to encourage a deep root system. Landscape with nature. Use native plants and grasses that are well-suited to our region’s climate and soils. Native plants usually require less maintenance and irrigation and less fertilizer. They also require fewer chemical pesticides. The result is that the water that runs off your lawn and garden into storm drains will carry fewer pollutants. Consult your local garden center for suitable native plants and grasses. Place dog waste in the toilet or a trash can, not in the street or down the storm drain. Dog waste introduces disease-causing bacteria into our water supply. Keep litter off the street. Thins includes cigarette butts, fast food containers and other wastes. Put trash in trash cans and clean up street litter so it doesn’t get washed or blown into the storm drains.